Have you purchased a new Quad Exit Exhaust from AWE Tuning and noticed you need to trim your bumper, but you don't want to purchase a new diffuser? AWE Tuning now is offering a simple bolt up and trim diffuser template to take the worrying and stress out of cutting your bumper diffuser. 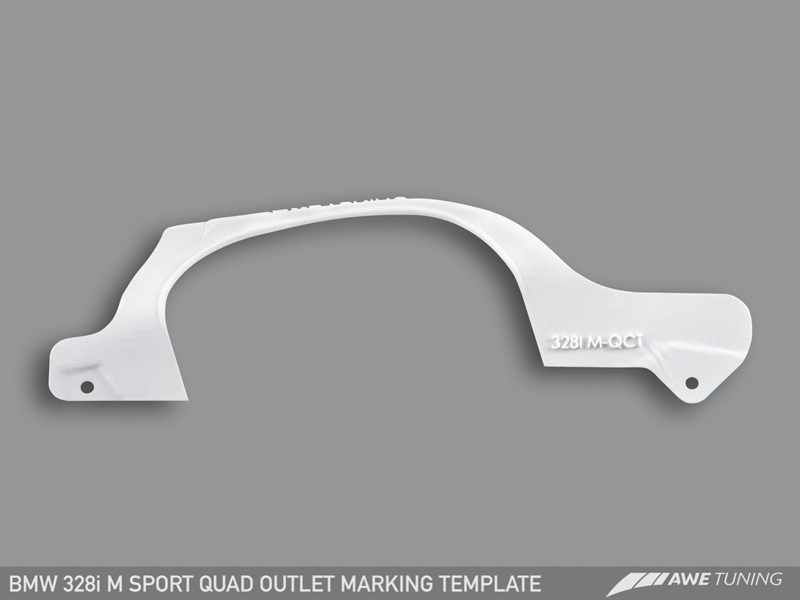 This new template by AWE Tuning is made of high quality composite material, so you know it will be sturdy when you cut. - Precision made cut out. - High Quality Composite Material. - Stress reliever in cutting your bumper.